Combining Disney characters and expert medical care, the new seven story Walt Disney Pavilion at Florida Hospital for Children was opened on Wednesday. President and CEO of the Walt Disney Company Bob Iger was present for the opening ceremonies. The full-service facility offers more than 90 pediatric specialists and experts in Central Florida, as well as over 1,000 highly trained employees specializing in pediatric care. The hospital is equipped with private pediatric rooms, uniquely suited to accommodate families, and a pediatric emergency department, as well as the Advanced Center for Pediatric Surgery. 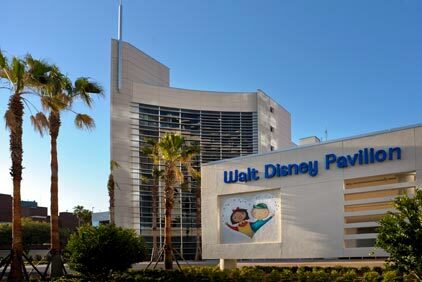 Additionally, the new Walt Disney Pavilion will be able to provide an amazing range of pediatric health services for young patients, from surgery, neurosurgery, oncology, cardiology and transplant services in addition to their regular full-service pediatrics. Furthermore, the pavilion also offers a cutting-edge health and obesity program.